Welcome to part 3 of the Career Project This week we are taking a closer look at the next two sections of my Career Project. For those of you just joining us I am using an A5 Finsbury Filofax for this project and the next two sections which I will be blogging about today are the career journal and Job History section. As you may have noticed in my introductory posts I have jazzed by my career journal and I am using coloured notepaper from this section from a funky A5 Journal I picked up in Waterstones, it is also available on Amazon: Julia Rothman Typewriter Eco-Journal. 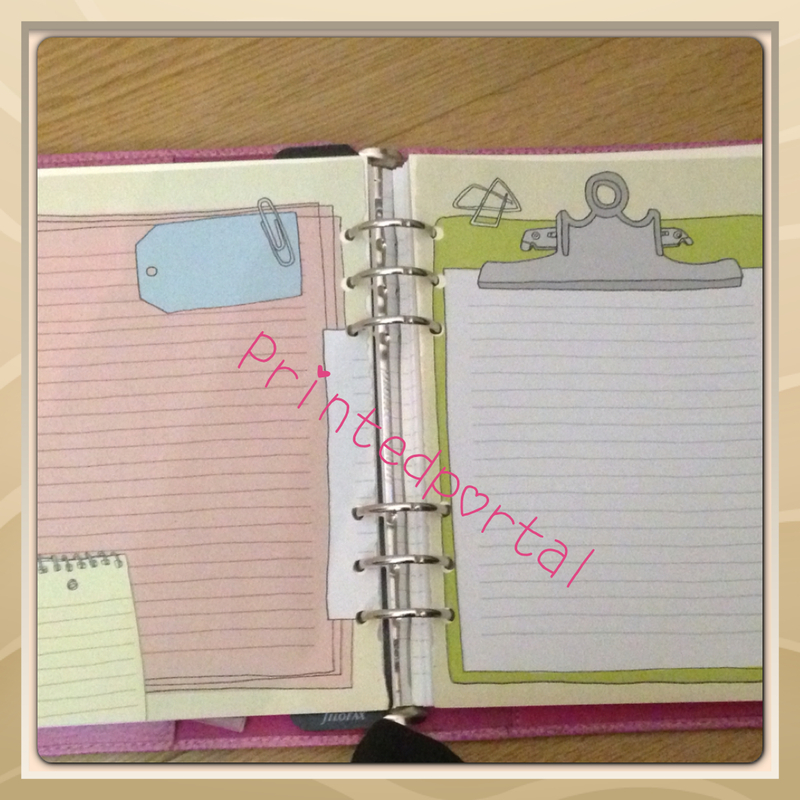 These pages have been punched and put in the Filofax. I had hoped that using pretty paper would encourage me to write more, but the entries have been sporadic and centred around ‘events’ or my hatred of being spammed on LinkedIn by recruiters rather than achievements or things I have learned. I have not really stuck to my scheduled slot either, but that is okay, they key thing is developing writing a career journal into a habit. At the moment it is really too early to tell a few weeks in, but I am feeling positive. The aim of the Career Journal is to have a freehand section where I write thoughts, feelings, inspiration and achievements – anything really. 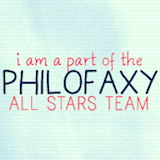 It helps me keep on track of what I am doing and helps with the skills section of the blog (more on that in part 4). Gone are the days where you work for company for your full working life. Keeping a record of your job history is a must. It can help you answer difficult questions about your job, or career as a whole. If you are applying for jobs it can be a great source of information. If you are trying to tailor each CV to a specific job, different parts of your job history will be relevant and different skills will be useful. If is not good enough to use the same CV for each job and is it not appropriate to simply include everything (without some filtering). Therefore I find it useful to store this information in my Filofax (rather than a CV document) I can then work though the Job History while reviewing the job spec and my CV anytime I apply for a job. As well as the basic information for each job (as set out in the Job History – Job Index Inserts) you should include a list of technical skills and examples of situations in each job for typical interview questions. Sometimes I also remember random things just prompted by a conversation I have but which are relevant. For example the other day I realised that in a previous job I had spent two weeks designing and testing a reporting system for a client with the technical / I.T. Team so it met both the employee and the end –user’s needs. I had completely forgotten about this and it was actually quite a good thing to have on my list. • What did you love about the job? • What did you hate about the job? • Why did you take the job in the first place? • Why did you leave? Don’t forget you don’t have to limit these entries to jobs (or companies) you can include internships, placements, secondments, a change in role following a promotion etc. 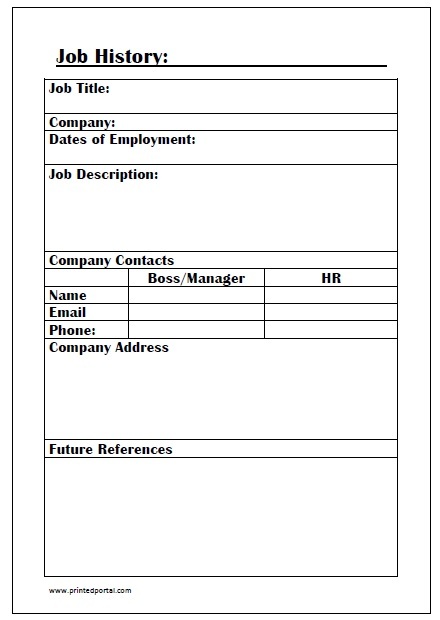 Don’t forget to grab your free job index insert (a5 size) if you are doing your own career project. Part 4 will include a closer look at my final 2 sections: skills and job hunting.